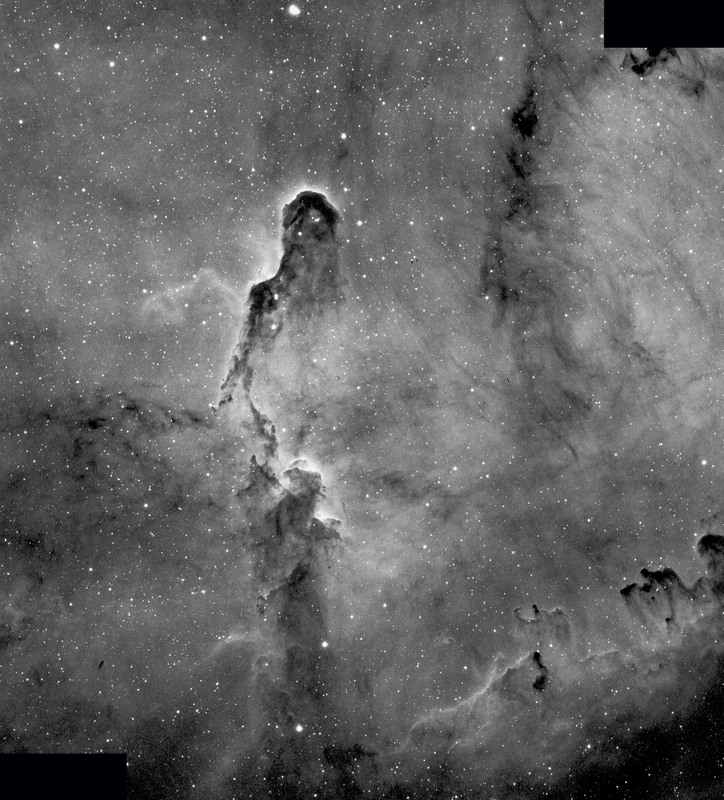 Last year I did a few pictures of the Elephant Trunk Nebula that had a smaller field of view. This is a has a wider field of view via the Takahashi 106 mm telescope. It represents 25 hours of exposures through narrowband filters. My earlier greyscale photo of this nebula was derived from 15 one hour exposures through an H-Alpha filter which were used as the red channel in this color image.. An additional 11 half hour images were taken through an OIII filter for the blue channel. An RGB color image usually uses three different monochrome images. In this case, however, the third color (green) was synthesized from the first two red and blue channels. That saves the time that would be necessary to take images through a third filter and not much is lost since most of the detail in this nebula can be found in the H-alpha and OIII wavelengths. It would be ideal to have a few more images to stack for a smoother image, but this nebula is now in an area of the sky where long imaging sessions are no longer feasible. I may have to wait until next year to obtain more depth in this image. I recently did a 2 panel mosaic of this nebula. This is a single panel version with much more exposure time. It is a composite of 15 one hour exposures through an H-Alpha filter. The Elephant’s Trunk Nebula is a concentration of interstellar gas and dust located in the constellation Cepheus at a distance of 2400 light years. 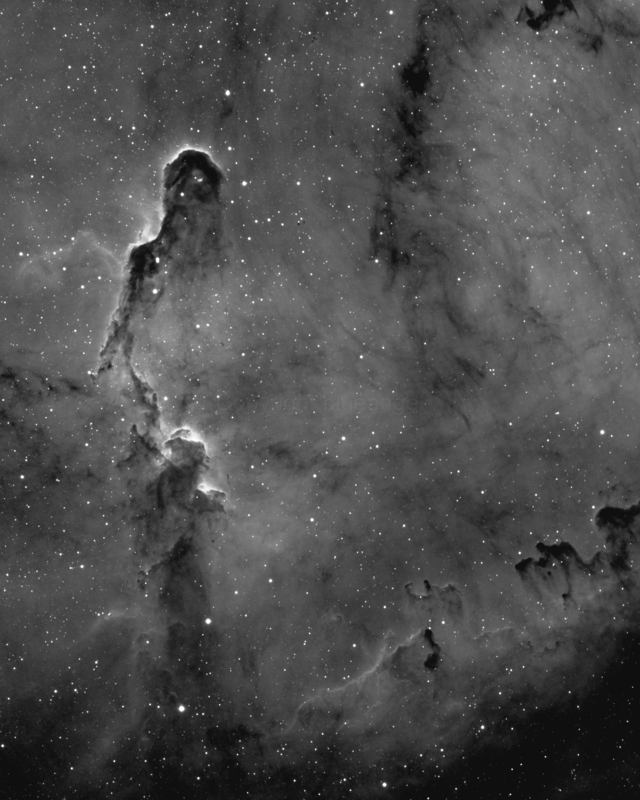 This is a two panel mosaic composed of five 60 minute exposures (5 hours) taken through the Astro-Physics 130mm f6.3 Starfire Refractor with a .75 focal reducer and an Astrodon 3nm H-Alpha filter.